Scientists discovered that common swifts can fly up to 10 months. Common swifts have always been admired for their flying abilities, and it seems there is more to them than just an aerodynamic body and tremendous speed. He continues by comparing common swifts with greyhounds, thanks to their body shape and flying speed. 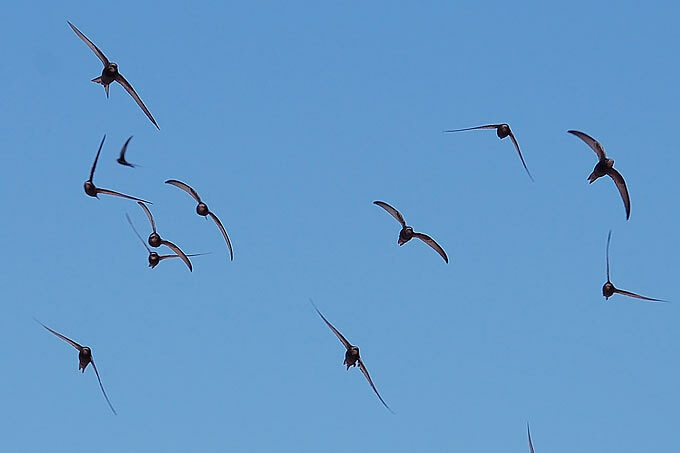 Hedenstrom’s team conducted a two-year survey by tracking 13 specimens using small accelerometers and light sensors which were put in tiny backpacks attached to the swifts. This way, they could know the exact position of the birds, while they also tracked the wings’ beating and the forward movement’s speed, so researchers were able to calculate the exact distance the birds traveled and how much time they spent in the air. At the end of the survey, they found out that common swifts fly for ten months every year between Northern Europe and Central Africa, meaning that they spend 99.5 percent of their journey on the sky. What is even more fascinating is that during their migration they stopped just for maximum two hours on a tree branch. Scientists were even more puzzled by the fact that three swifts never stopped flying until the end of the migration. Instead, they spent over 10,000 miles in the air. Although frigatebirds were known to fly long distances when they crossed oceans, not even them can compare with the common swift, who established a new world record. Because they travel such a long distance, these birds have to mate, eat, and drink while flying. Hedenstrom says that these birds most likely sleep in the air as well. Another interesting fact is that the birds have very short legs, and that is why in the past, people thought that they don’t have legs at all. The team will continue their research to find out more about common swifts and to understand how they can fly for such long distances, even if this process usually takes a high amount of energy.